When Cath from A Blithe Palate asked Weekend Cookbook Challenge to co-host this event, I thought I'd died and gone to heaven. 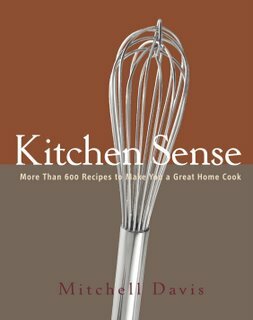 A chance to get a copy of a not-yet-released cookbook? To read and cook from and share with you guys? AND to ask some fellow bloggers to help out? We asked 25 bloggers to read the cookbook, cook a recipe and share their thoughts. What would everyone cook? What would everyone think? And how many of them would make the same dish? I have to say, I really enjoyed this cookbook. I love the cover art. 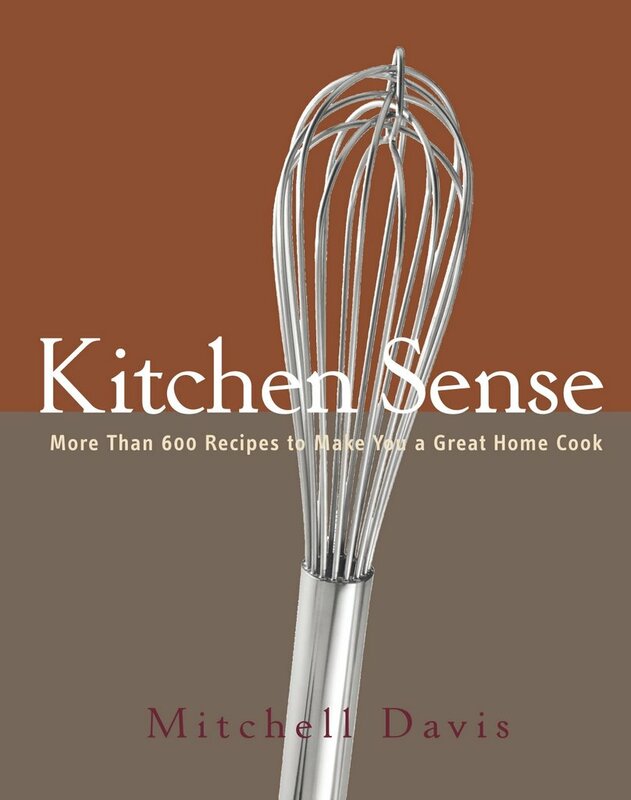 I found the "Kitchen Sense" and "Basic" tips scattered among the recipes very informative. I love the cookbook recommendations at the back. Mitchell Davis has also included a helpful section at the bottom of each recipe. He lists any Advance Prep that can be done for the dish, as well as tips on the leftovers (always very handy) and Variations that can be made to the dish. "You have just opened a cookbook written by someone who loves to cook. If you like to cook already, you've found a new friend." I was not bothered at all by the fact that there are no pictures in the book. I found the recipes and their introductions to be so descriptive pictures weren't necessary. I had a very tough time choosing some recipes to try. I wanted to do a complete meal, and to make sure that all the dishes we cooked were somewhat complementary to each other. 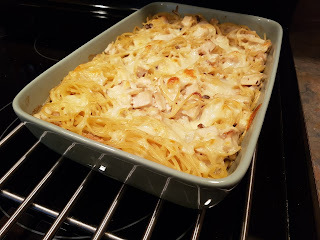 My list of recipes I wanted to try was growing longer and longer. I decided on a Southern themed meal. 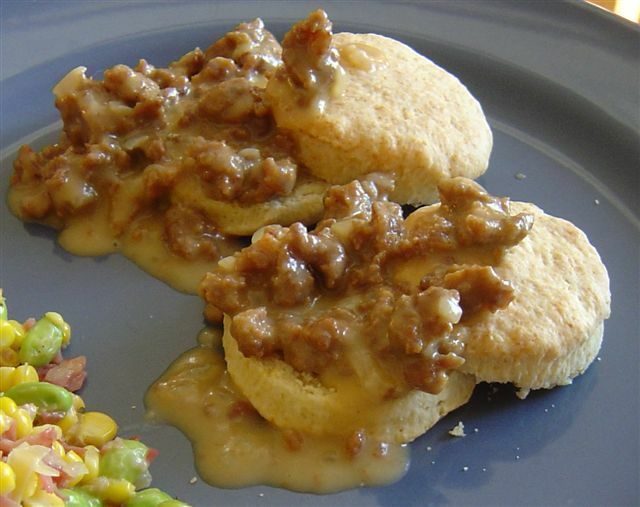 Buttermilk Biscuits with Sausage Gravy, Succotash, and Burst Cherry Tomatos. This was simple and very very good. 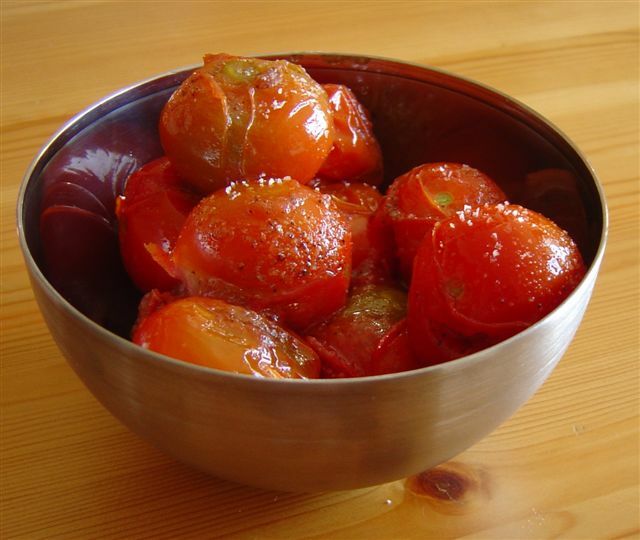 Cherry tomatos are sauteed with lots salt and pepper until thier skins burst. I was so excited to come across this recipe. Last year Scott and I went to a Southern Brunch in the U.S. and had biscuits and gravy for the first time. We have talked about them ever since. I wish I had known years ago how wonderful biscuits and gravy could be. 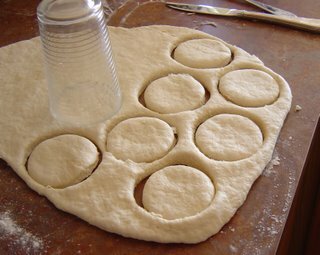 The recipe in Kitchen Sense produced biscuits that were very light and fluffy and the gravy could not have been easier. This is a dish I'll make again and again. Now this stuff was good. 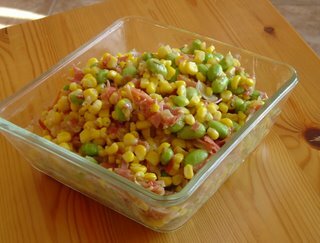 The recipe call for using fresh or frozen lima beans. I have never seen either in my life. However, Davis suggested using frozen edamame - soy beans - in place if the limas weren't avaliable. Sauteed with corn, onion, ham and cream, how can you not love it? A big thanks to all the bloggers that participated in this event. I hope you all had as much fun as I did. Cath and I will have the complete round-up posted soon. And a very very HUGE thanks to Cath. Thanks for asking me to be a part of this. I had a blast. This is now one of a very few cook books I have with no pictures. I think you'll like the grits. If you really can't find any, let me know, I'll send you a big package. I love grits. I agree, it was really fun trying the book and seeing what others have tried. Thanks again for asking me to participate. tanna, aw thanks! i'm keeping my eye out, but no luck so far. kalyn - thanks to you for participating!